A war between Rome and the Seleucid Empire is imminent. Lucius Cornelius Merula and Quintus Minucius Thermus were the new consuls, while Scipio Africanus’ brother Lucius served as a praetor and was sent to Sicily. The censors concluded the census this year and Gaius Cornelius Cethegus presided over the lustrum, the ritual purification ceremony at the close of the census. 243.704 Roman citizens had been counted. There were huge problems with usurers in Rome this year. Usury had already been curbed by the Laws of the Twelve Tables (ca. 450 BCE) and by later legislation from the fourth century BCE, but these regulations could easily be circumvented by using non-Romans as intermediaries. Italians without Roman citizenship could simply ask whatever interest they wanted. These practices were now outlawed by a Lex Sempronia passed by the concilium plebis. Debts to Latins and Italian allies were now covered by the same regulations. The Senate expected most of the trouble to come from the north this year, and Lucius Cornelius Merula was given Gallia Cisalpina as his province, while Liguria was assigned to the other consul, Quintus Minucius Thermus. The various Ligurian tribes often fought each other, but now they seem to have united their forces, perhaps as a result of Roman expansion in the region. Some 20.000 Ligurians devastated the territories of Luna, an important port in the region and the staging point for Cato’s expedition to Spain two years previously. They were now threatening Pisa, and Marcus Cincius, who commanded the city, wrote to the Senate for help. Another Ligurian army had reportedly reached the walls of the Latin colony of Placentia. The Romans needed to respond, and fast. The consul Minucius ordered the two urban legions that had been levied as reserves the previous year to assemble at Arretium in Etruria within ten days. Minucius wanted to use these troops for his campaign, but many of the men were unwilling to serve. A great number of them appealed to the people’s tribunes and sought exemption from military service, claiming that they had already served the required number of years or that they had health problems. Rome had asked a lot of her citizens during the wars with Carthage and Macedonia, and it is understandable that many men tried to avoid being drafted into the legions again. But since the situation was grave, the Senate decided that no dispensations were to be granted. The Latins and allies that had served in last year’s armies and that had been sent home were also recalled. 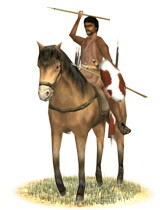 Numidian cavalry (source: Europa Barbarorum). This was all a ruse, of course. Suddenly the Numidians charged through the Ligurian outposts and galloped off to the nearest enemy villages, which they put to the torch. The Ligurians who were blocking the pass now quickly gave up the blockade to try and rescue their families and possessions. The consul’s army had been saved. While his colleague was still at Pisa, the other consul, Lucius Cornelius Merula, marched into the territory of the Boii with his army. The Boii did not put up any resistance and allowed the Romans to pillage their lands. The Roman column then marched to Mutina and the consul failed to take any precautions to protect it against attacks. The Boii searched for a good place to ambush the enemy and occupied a pass that the Romans had to march through. Fortunately for Merula, the ambush was promptly discovered, and the Romans were able to form up into battle formation while the triarii were left behind to guard the baggage. Roman triarius (source: Europa Barbarorum). The Battle of Mutina was a bloody affair. The Roman left ala was hard-pressed by the charging Celts. It was commanded by two experienced legates, Marcus Claudius Marcellus and Tiberius Sempronius Longus, both former consuls. The allied extraordinarii fought bravely, but the pressure from the Boii was too much and many were killed. This is a good example of how Rome’s allies often bore the brunt of an enemy attack and suffered disproportionate casualties. The consul ordered one of the Roman legions to aid the left ala and the fighting continued for hours under the scorching sun. The battle was decided when the consul ordered the allied cavalry to charge. These horsemen broke through the enemy lines and put the Boii to flight. The Roman cavalry was then sent in to cut down the fleeing Celts. According to Livius, the Romans suffered 5.000 casualties, and it seems likely that the majority of these were Latins and Italian allies. 14.000 Boii were killed. Merula believed he had won a great victory, but his legate Marcellus disagreed. Marcellus wrote to many senators and complained that the consul had made some serious tactical errors which had cost the lives of many soldiers. When Merula returned to Rome and pressed the Senate for a triumph, Quintus Caecilius Metellus – the consul of 206 BCE – brought up the complaints levelled by Marcellus. The consul was indignant and repeated his request for a triumph. However, two tribunes of the plebs then stated that they would use their right of veto if a triumph was awarded by the Senate. Merula therefore ended up empty-handed. Gaius Flaminius, son of the consul killed at Lake Trasimene in 217 BCE, was one of the six praetors this year and served in Nearer Spain. His colleague Marcus Fulvius Nobilior became governor of Further Spain. It was a long way to the Spanish provinces, and while he was waiting for his successor, the incumbent praetor of Further Spain, Publius Cornelius Scipio Nasica, won another splendid victory. This time the Lusitani were his victims. The Lusitani had pillaged Roman territory in Further Spain and were on their way back home laden with booty. 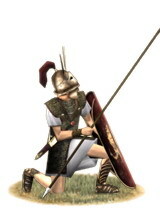 Scipio Nasica attacked the enemy column near Ilipa, and after five hours of fierce fighting, the Lusitani were put to flight and the praetor recovered most of the booty. The new praetors also performed fairly well. Gaius Flaminius defeated the Oretani, but he also had to fight brigands and Roman casualties were considerable. 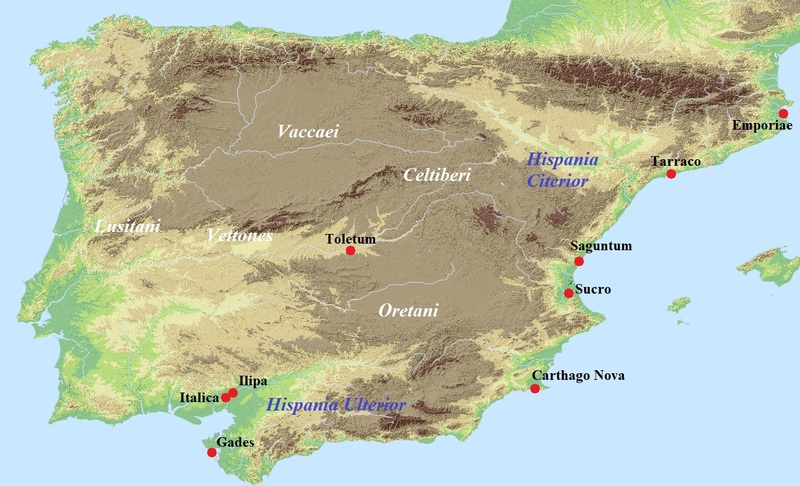 Marcus Fulvius defeated a coalition of the Vaccaei, Vettones and Celtiberians at a place called Toletum. This is most likely modern Toledo in Central Spain. The enemy force was routed and a chieftain named Hilernus was captured. Meanwhile, Hannibal had established himself at the Seleucid court as one of the king’s principal advisors. Antiochos was pondering on an invasion of Greece, and both Livius and Appianus claim that Hannibal urged the king to take the war to Italy as well. The Carthaginian general reportedly asked for a fleet, 10.000 infantry and 1.000 cavalry. He planned to sail to the Italian peninsula and start a war there while the king launched his invasion of Greece. Hannibal also tried to stir up the people of Carthage against the ruling oligarchy. He believed that it was too risky to send letters, as these might be intercepted, so he needed to find an alternative. In Ephesos he had met a certain Aristo, who according to Appianus was a merchant from Tyre. Aristo was given oral instructions and sailed to Carthage, where he met with certain politicians who were known for their pro-Barcid sympathies. Unfortunately, Aristo was quickly found out by the anti-Barcid faction. He managed to get away, but his mission had failed. Scipio Africanus (Capitoline Museums, Rome). Aristo’s activities had led to some unrest in Carthage, and King Masinissa of Numidia took advantage of the situation by invading the fertile region known as Emporia on the Lesser Syrtis. Emporia was claimed by both sides, and both the Carthaginians and Numidians now sent envoys to Rome. The Senate was unable to reach a decision and decided to send a committee of three men led by Scipio Africanus to Africa to investigate. Scipio could easily have settled the conflict with his immense authority, but for the moment the Romans felt that it was better to leave Carthage and Masinissa quarrelling a little longer. This was all part of their divide et impera strategy. Antiochos had sent a diplomatic delegation to Rome which was led by Lysias, Hegesianax and Menippos. The envoys arrived in the city in early Spring. They claimed to have come to make a treaty of friendship between the Roman Republic and the Seleucid Empire, but their true goal seems to have been to gauge to mood of the Senate. Did the Romans still have a taste for war against Antiochos? 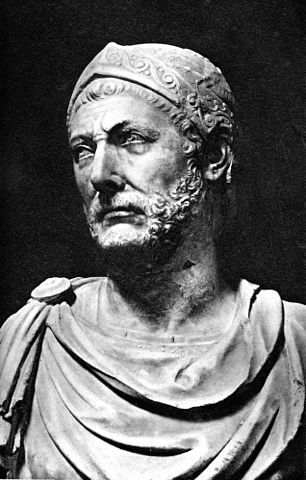 Titus Quinctius Flamininus, who was also present, made it clear that Rome would defend her Greek allies. The discussion came to nothing when the Seleucid envoys repeated that the king was perfectly within his rights when he occupied the territories in Asia Minor and Thrace that had once belonged to his great-great-grandfather’s empire. No decision was reached, and the Senate decided to once again send a counter-delegation to the court of Antiochos. Among the envoys were two former consuls, Publius Sulpicius Galba and Publius Villius Tappulus. In the meantime, the embittered Aetolians had organised a meeting of their League in Naupaktos. They felt that they had been treated most unfairly by the Romans after the Second Macedonian War, a war they believed they had won. After hours of complaining, it was decided to stir up the rulers of Sparta, Macedonia and the Seleucid Empire against the Romans, but with limited success. Only Nabis of Sparta immediately took action and tried to take back Gytheion, the important port that had been taken from him in 195 BCE. The Achaeans called upon the Romans for help. But King Philippos of Macedonia and King Antiochos of the Seleucid Empire for the moment did nothing. 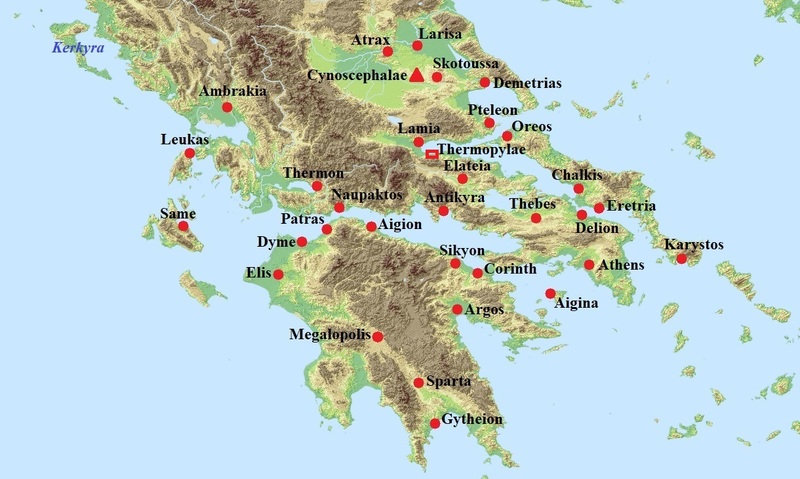 Antiochos was in fact not even close to Greece. The previous winter, he had been in Raphia in Gaza to attend the wedding of his daughter Cleopatra and King Ptolemaios V of Egypt. He was now campaigning against the Pisidians living in the vicinity of Side. The Roman delegation led by Galba and Tappulus first met with King Eumenes of Pergamum. The Pergamenians were neighbours of the Seleucids and there was a bitter rivalry between the two. 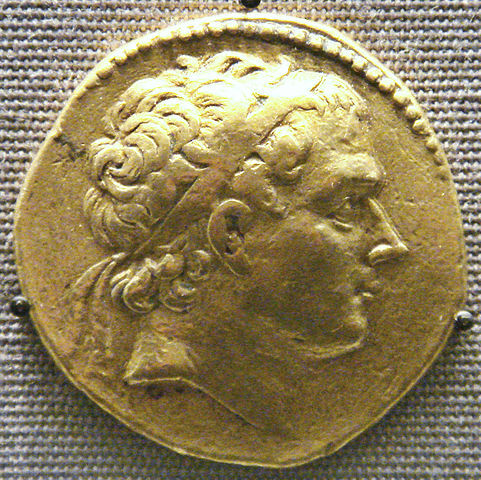 Eumenes was in favour of war against Antiochos. According to Appianus, the Seleucid king had tried to marry off one of his daughters to Eumenes, but the latter had rejected the proposal. Publius Sulpicius Galba fell ill and chose to stay in Pergamum, while Villius Tappulus travelled to Ephesos where he spoke with Hannibal. There is a story, certainly fictional, that Scipio Africanus was also part of the Roman delegation and had a conversation about generalship with his old enemy. When Scipio asked Hannibal whom he considered to be the greatest commander ever, the latter replied that he put Alexander the Great first, Pyrrhos of Epirus second and himself third. When Scipio asked where Hannibal would have put himself if he had defeated Scipio as well, Hannibal answered that, in that case, he would have placed himself even before Alexander. Scipio was obviously pleased with this answer, but unfortunately this conversation at the gymnasium of Ephesos is unlikely to have ever taken place. There is no evidence that Scipio was part of the delegation, and around this time he would probably have been in Africa as a member of the committee of three mentioned above. Villius Tappulus travelled further east and finally met with the king in Apameia. The negotiations were not getting anywhere. They were cut short anyway when the king received the dreadful news that his son and successor, also named Antiochos, had died. The court was in mourning, and the Romans returned to Ephesos. A new meeting was later held at Ephesos, but nothing was achieved. When all the delegations had left, Antiochos consulted his war council. After some debate a decision was reached: there would be war. Livius, Ab urbe condita, Book 34.54-34.62 and Book 35.1-35.19. 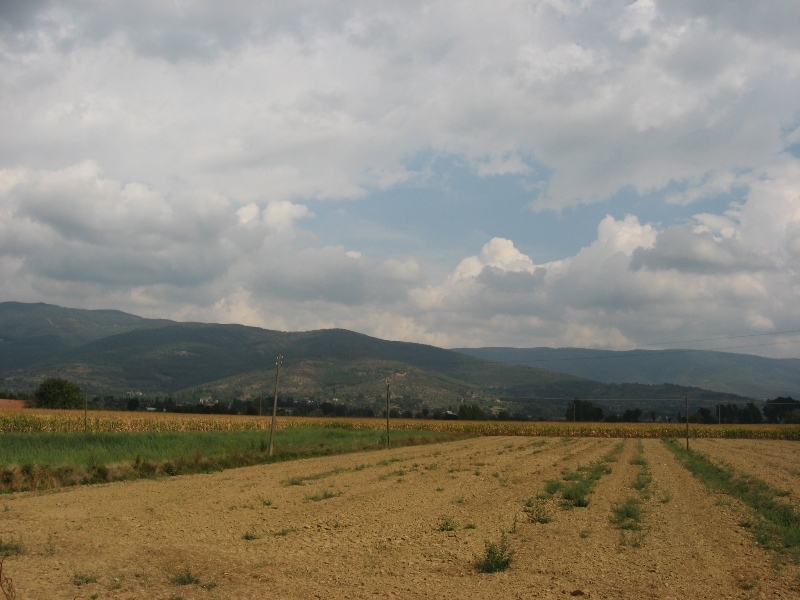 The site of Scipio Africanus’ great victory over the Carthaginians in 206 BCE. Appianus does not mention the girl’s name. The story of the proposed marriage can also be found in a speech by Eumenes in Livius 37.53.